London-based outsourced sales and marketing experts Source Marketing Direct recently attended an industry seminar, where Managing Director Hector Montalvo explained how optimising just two functions of the recruitment process could raise the quality of applications. Source Marketing Direct believe that the quality and content of a job advert – accompanied by maintaining a consistent and coherent message across all candidate touch points with a brand – is what will raise the ‘quality’ of those who end up applying. According to a Linkedin report on the Global recruitment trends for 2018, digital technology is transforming the way companies hire. While this is quite a benign and obvious statement, Source Marketing Direct believe not enough companies are realising the knock-on effect this is having to the ‘when, where’ and ‘how often’ of their recruitment messaging. Such technological advancement has made it much easier for the candidate, but not necessarily the hirer. Managing Director of Source Marketing Direct Hector Montalvo believes that nowadays, the candidate experience ‘is king’. Forcing candidates to go to unnecessary lengths or jump through time-consuming hoops will be detrimental to a firm’s recruitment pipeline. “Ask yourself what the candidate is seeing – put yourself in their shoes through the application process. Today’s candidates tend to look at around 18 different different sources of information about a role before they apply, so it’s important to portray a coherent message,” argues Montalvo. 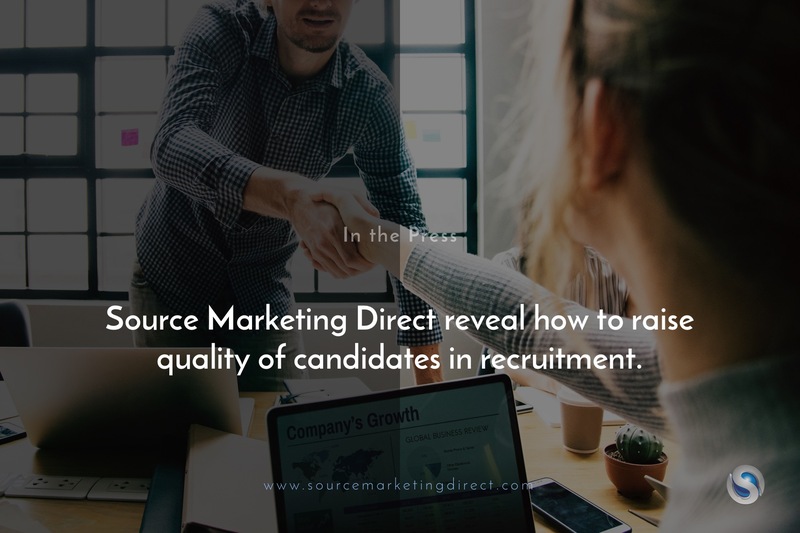 Source Marketing Direct’s Managing Director believes that maintaining clear, constant communication from the moment a candidate makes contact is current best practice. Retaining and recruiting top talent is made even more difficult when recruiters are fighting over smaller talent pools, or large ones with diminished quality. Small-medium sized business can remain attractive to prospective applicants by offering a consistent and transparent recruitment experience. Source Marketing Direct are an outsourced sales and marketing firm based in Southwark, London.